Registering the least in percentage losses among precious metals, gold futures edged 0.4 percenot lower Wednesday as a rebounding U.S. dollar blemished a portion of their appeal. Precious metals were pressured on news that inflation in the U.S. was relatively tame in September and on a dreary outlook for U.S. economic growth based on the latest release of the Fed’s beige book. Marking a third straight day of losses, gold prices dipped $5.80 to $1,647.00 an ounce in the December futures contract on the Comex in New York. 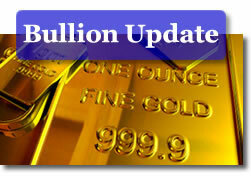 Gold touched an intraday low of $1,642.50 and reached a high at $1,666.90. "The general consensus is that there is little in the beige book that would fire up hopes of QE3, and coupled with the no real resolution in Europe, investors are liquidating their positions," Reuters quoted Frank McGhee, head precious metals trader of Integrated Brokerage Services LLC in Chicago. Silver prices for December delivery ended at $31.277 an ounce, falling 55.4 cents, 1.7 percent. The white metal ranged from $31.145 to $32.150. Platinum prices for January delivery declined $17.60, or 1.1 percent, to $1,523.10 an ounce, moving between $1,521.80 and $1,556.70. Palladium prices for December delivery ended down $11.50, or 1.9 percent, to $608.40 an ounce. Palladium traded between $606.35 and $628.00. $18.00 for palladium at $624.00 an ounce. The U.S. Mint on Wednesday published gains across most of its major gold bullion coins. The 24-karat Gold Buffalo rose 1,000, lifting its October tally to 11,500, or 1,500 away from matching its September total. In 22-karat gold bullion coins, sales of the one-ounce Gold Eagle added 2,500 while the one-tenth ounce Gold Eagle added 5,000 — the first time the Mint’s smallest bullion coin has advanced this month. *The as of date for sales of U.S. Mint America the Beautiful Five Ounce Silver Bullion Coins is Monday, October 17, 2011. The Mint does not publish daily sales for its 5-ounce coins.